LITE-ON shows a broad range of isolation applications ranging from power supply and motor control to data communications. In today’s industrial applications high level of automation is required, and high-speed photocoupler is a key component for smart industry applications. LITE-ON’s high-speed photocouplers feature high transmitting data rates and best CMR performance is the best solution for smart industry applications, such as smart meters and industrial robots. LITE-ON also introduced its first automotive-grade AEC-Q102 qualified photocoupler LTX-353. 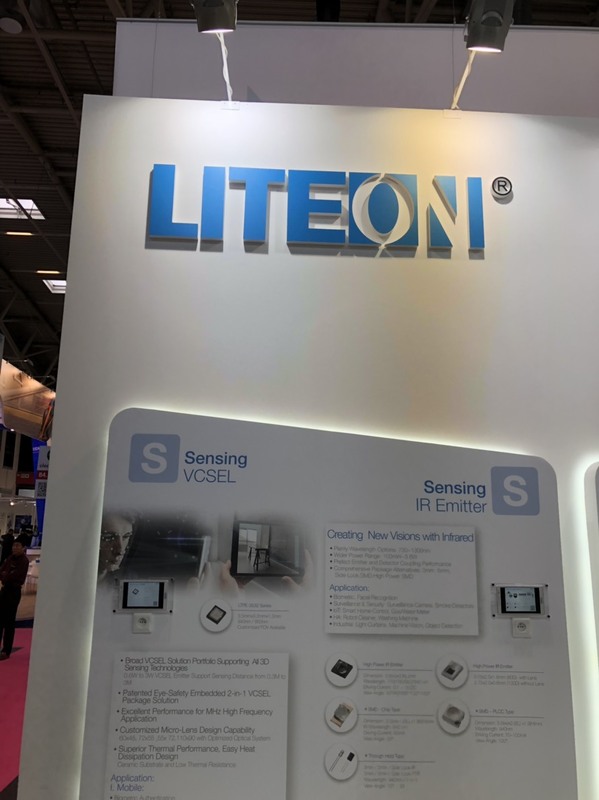 In the sensing area, LITE-ON displays the products and solutions for Smart Home and Appliances from discrete component to integrated sensing module. 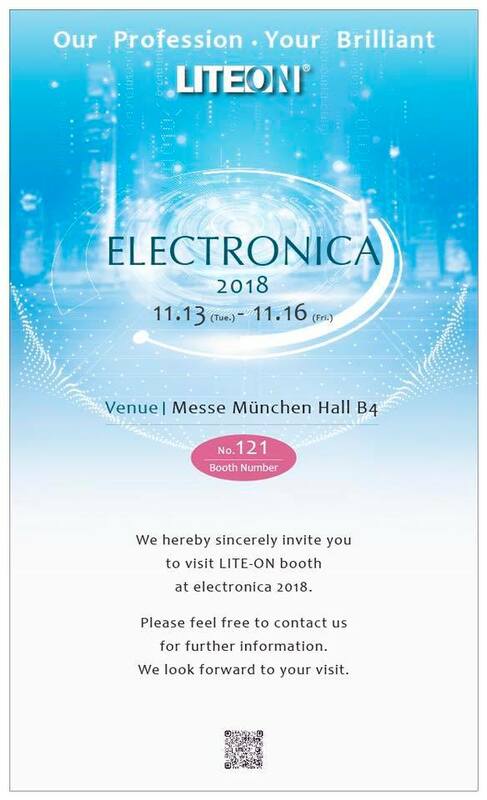 LITE-ON also presents the product solutions on 3D sensing, including VCSEL flood illuminator and ToF Emitter (LTPE-35321) for the first time at electronica 2018. In addition facial authentication for mobile, these solutions are also suitable for robotics, drones, augmented reality and virtual reality and automotive. 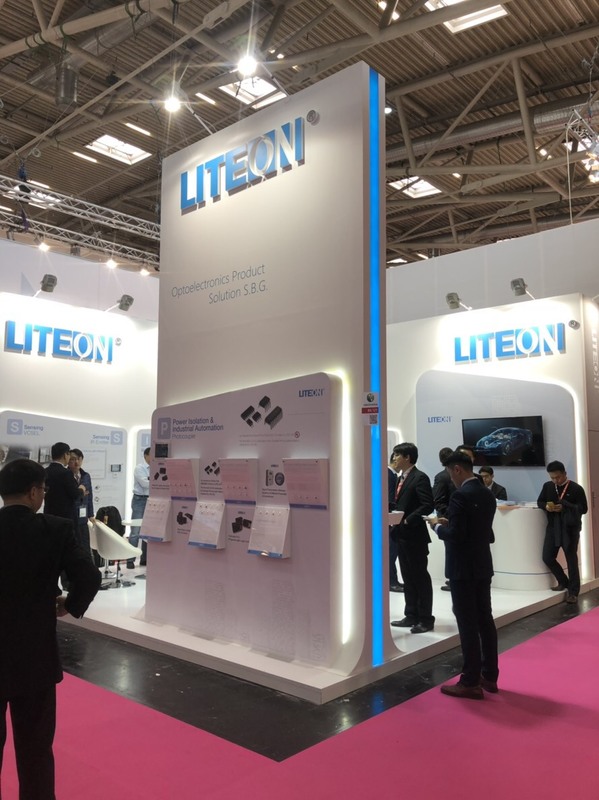 LITE-ON supports a wide range of automotive applications and showcase comprehensive product solutions ranging from LED covering all performance classes and package sizes, infrared components and optical sensors(LTRA-300ALS). 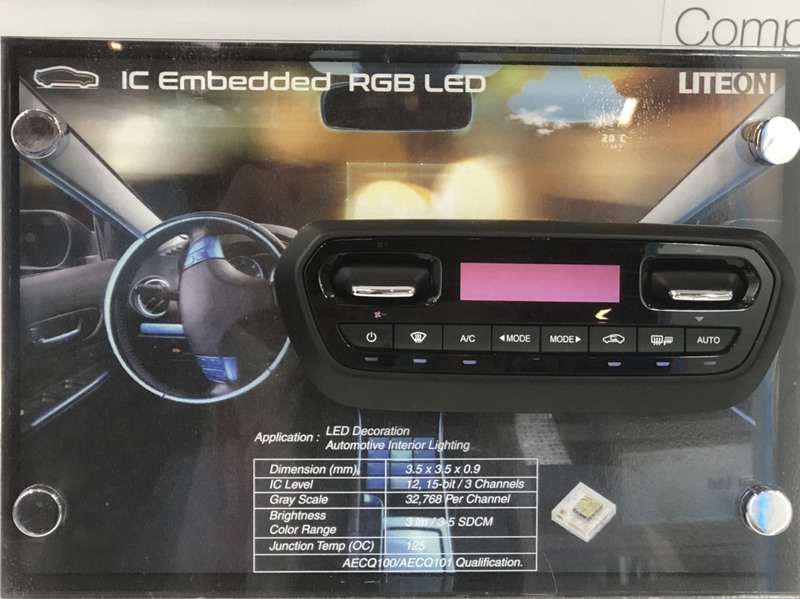 LITE-ON also expand its IC Embedded RGB LEDs to automotive to response to the emerging customizable dynamic lighting trend in automotive. LITE-ON also demonstrate the innovative matrix LED LTPA-HxS series for automotive front lighting applications.